I have had the opportunity to photograph ‘big kids’ lately and love it! Sue reached out to me for senior photos for her son Mark and then we combined it into a family photo session. If you have a high school senior, rather than just photographing him/her, it’s fun to add some photos of the family too! Here’s Sue with husband Larry and children Brandon, Mark, and Steve! I loved their laid back family dynamic and how her three grown boys interacted with each other. 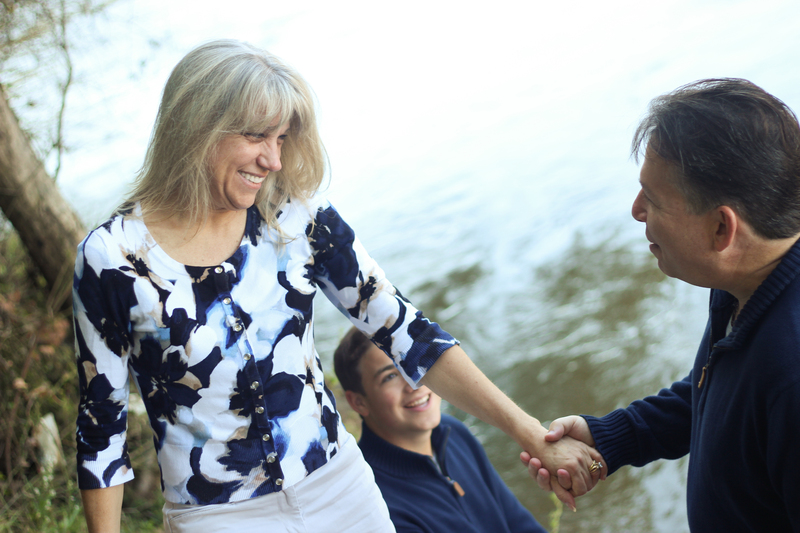 Transitioning children to college can be full of emotion so it was nice to capture this family on this sunny day! Initially, we had very few clouds and the sunlight was glaring a little too brightly for my liking at Morgan Falls Park. Brandon had the idea to check out the waterfalls – something I’d never done at that park. The waterfall wasn’t natural made (and was actually turned off! ), but we stumbled upon these grey rocks that seemed like they were made for our session! The lighting there was gorgeous and let this sweet family shine! It’s always fascinating for me as a photographer to see a family dynamic and I so enjoyed Sue and her family. In my family, I am the only girl with three brothers so I could relate to this family of only brothers. Mark, wishing you the best in high school, college, and beyond!